Havana, theÂ Cuban capitalÂ that is celebrating its 500thÂ Anniversary, is getting ready to host once again theÂ XXIÂ HabanosÂ Festival. The biggest international event of the world's best tobacco, the Habano, will beÂ held from 18Â toÂ 22Â February. Enthusiasts of this unique product from all corners of the world will participate in a Festival that will see theÂ San CristÃ³bal deÂ La Habana,Â Hoyo deÂ MonterreyÂ andÂ TrinidadÂ brands taking centre stage. Attendees from more thanÂ 60 countries are expectedÂ will enjoy a comprehensive programme full of activities designed to explore some aspects of the Habanos culture: tours of plantations in Vuelta Abajo*, in the Pinar del RÃ­o* region, as well as visits to the factories responsible for producing this year's biggest launches. Other highlights include three evenings of the best live music from renowned international artists, the finest gastronomy in Cuba, Habanos tastings and a wide range of beverages from different corners of the world. TheÂ Trade FairÂ and theÂ Welcome Evening, will mark the start of the Habanos Festival. The Trade Fair is the meeting and interchange point for professionals in the tobacco industry and the Welcome Evening, held in the Antiguo AlmacÃ©n de la Madera y el Tabaco at the Havana port, will pay tribute toÂ San Cristobal de La HabanaÂ brand for its 20 years. The programme will feature master classes and keynote speeches, led by recognised experts in the world of Habanos at theÂ International Seminar. The XXI edition of the Habanos Festival will organise, for the second year in a row, theÂ Habanos World Challenge. The evening dedicated toÂ Hoyo de Monterrey Gran Reserva Double Coronas Cosecha 2013Â will be held at the El Laguito Reception Hall on Wednesday 20 de February, with a cocktail dinner. 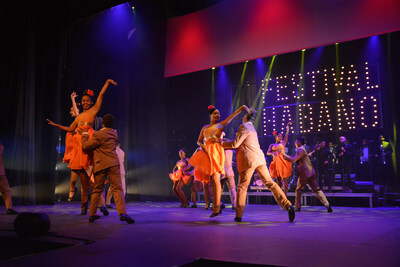 TheÂ Gala Evening, held on February 22, will be the grand finale to the Festival and will pay tribute toÂ the 50th Anniversary of the Trinidad brand. The event will conclude with theÂ Hombre Habano AwardsÂ and the traditionalÂ Humidors Auction, with all proceeds going to the Cuban Public Health System.